Crystal Glidden, Diana Woolf, and Edward Lyell are three incredible members of the Fire-Dex Family who actively compete in marathons, triathlons and/or IRONMAN competitions in turnout gear made with TECGEN71; and we’d like to do a little bragging on their behalf. Congratulations to Mike DiMeglio of Donley Safety in Indianapolis, Indiana on earning the distinguished title of “Distributor of the Month” for May 2018. 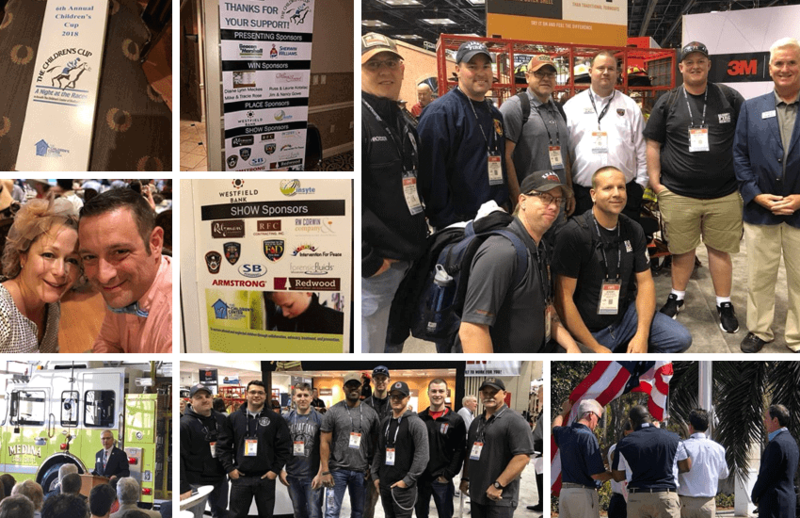 Over the past 7 years, Mike has covered Southern Indiana full time and been integral in helping pave the way for Donley Safety’s great success with Fire-Dex. Recently, Mike has delivered 12 sets of the Interceptor Package™ featuring TECGEN71 to Manchester Fire & Rescue, as well as 13 sets of gear to Columbus Township Fire Department. In addition, he has converted three departments to FXR custom turnouts in the last month! March and April were busy months for Fire-Dex! We enjoyed giving back to some incredible causes and organizations. Read about our community contribution highlights below. 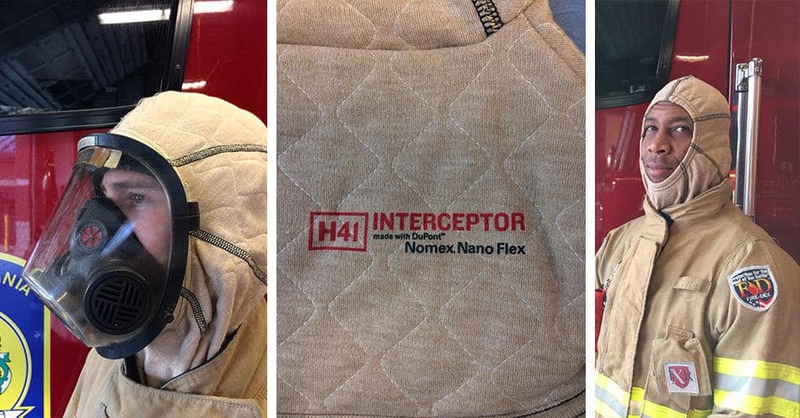 The Fire-Dex H41 Interceptor™ Hood with Nomex® Nano Flex was designed to keep potentially carcinogenic particulates and other harmful contaminants off of firefighters’ jaws, faces, and necks. These areas have been identified as highly absorptive and more permeable than other areas of skin. Spotsylvania County Fire, Rescue, and Emergency Management recently purchased the H41 Interceptor™ Hoods and were not disappointed. This particulate barrier hood is scientifically-tested to block 98% of carcinogenic particulates. “Our department continues to implement new technologies and practices to protect responders as they work to serve our community. These new hoods are composed of materials that not only protect our firefighters from fire and heat, but also help protect them from cancer causing microparticle carcinogens,” they shared in a Facebook post. For more information about the H41 Interceptor™ Hood, available in the Interceptor Package™, visit firedex.com/product/h41-interceptor/. Get the latest content first with our email newsletter.